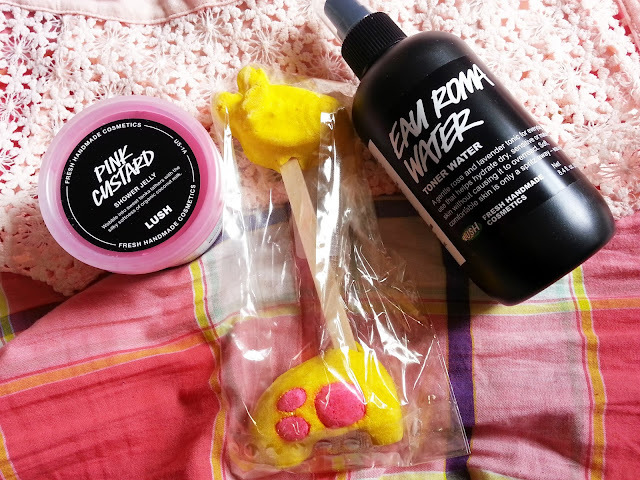 I kept putting off an order to Lush, because I wanted all of the things. I only really needed one item, but with so many new products coming out for Easter and Mother's Day, I knew there were other things I would want to try. I ended up placing a small order, without going too crazy! So, let's take a closer look at everything! For mature, sensitive, or dry skin. In a world of technology-loaded cosmetics, choosing a toner with just two active ingredients may seem unusual. But when those two ingredients work perfectly to calm, soothe, moisturize, and balance skin, why use anything else? Rose water cools irritations and keeps redness at bay, while lavender helps to balance out the skin's oils, leaving it feeling soft and supple. 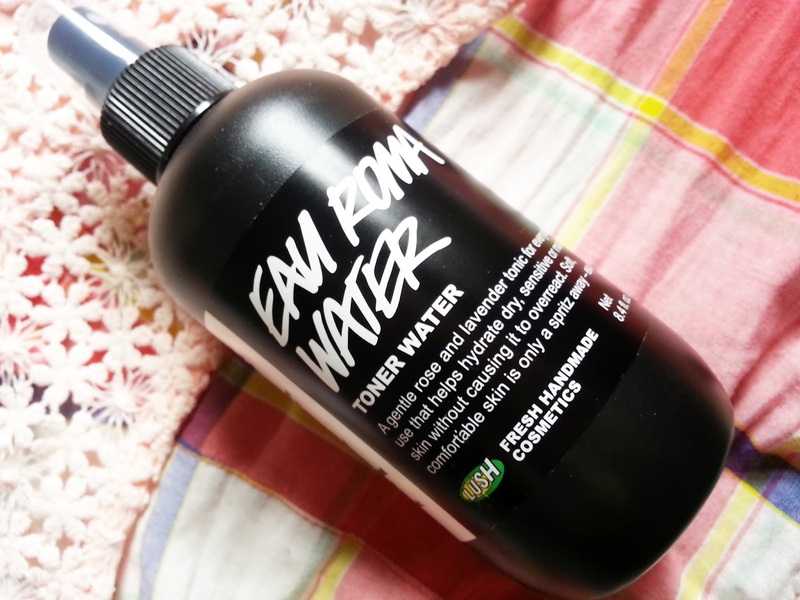 Eau Roma is simple, effective skincare at its best! I've used this a few times in the past, and I love how it makes my skin feel. This was the reason for the Lush order, and I'm glad I finally picked another up. I do have some other toner mists to get through, but I will use this on days that I'm feeling extra dry. Reach new bathtime heights. Enjoy the freshest baths with this adorable triple citrus reusable bubble bar. A zesty blend of lime and lemon will refresh your inner sparkle as grapefruit lifts you to lofty new heights. Just hold your bar under the tap as you run your bath, splash around to create loads of bubbles, and set Elsie aside for more uplifting soaks. Bubble bars are probably my most favourite bath product that Lush sells. Yes, bath bombs are pretty, but you don't get as many uses out of them as you would the bubble bars. I'm super excited to give this a try because I love grapefruit bath products, and this sounds perfect for spring/summer. I'll do a separate review on this once I give it a try! Plus, how cute is Elsie? Get ready for this jelly. A whiff of this sweet, mouthwatering tonka and vanilla jelly might make you want to grab a spoon, but we implore you not to taste it: we promise it's much better on your skin than your tastebuds! Washing with ingredients like skin-conditioning coconut milk, sweet golden syrup and mineral-rich seaweed gel will leave you delightfully soft all over and smelling like a dream. Ah, this stuff smells so good! It smells creamy, and vanilla-y. It has a light coconut smell, but its not strong at all. Plus, I really love the pink colour! I tried my first shower jelly awhile ago, and it lasted me forever. I was a little iffy about it, because I don't like how you have to break little pieces off.. but seriously, for the price, and how long it lasts - you really can't go wrong. Plus it comes in one of the pots that can be brought back and traded in for a face mask. I'll be grabbing this for my next shower!